March 28, 2019: The seminar “Belt and Road: New Concepts and Practices” is held in Beijing. 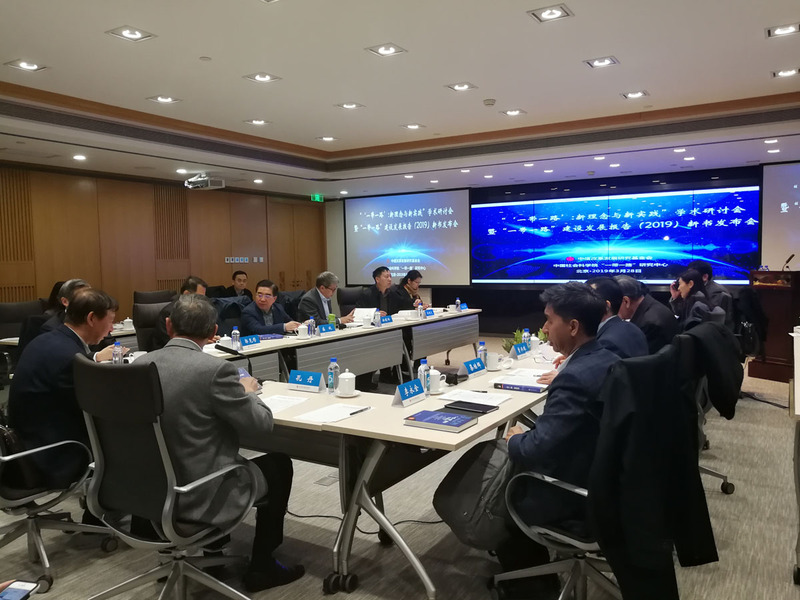 On March 28, 2019, the seminar “Belt and Road: New Concepts and Practices,” jointly hosted by the CITIC Foundation for Reform and Development Studies and the Belt and Road Research Institute of the Chinese Academy of Social Sciences (CASS), was held in Beijing. The Belt and Road Construction and Development Report 2019 was released during the event. 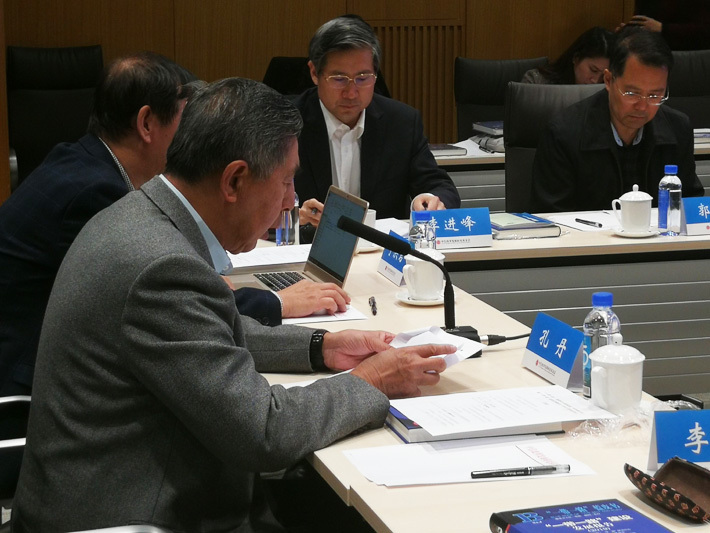 Experts and scholars from the CITIC foundation, CASS, Beijing Normal University, Nankai University, Sinochem Group and Shanghai United Media Group discussed the new concepts and international influence of the Belt and Road Initiative, and summarized the experiences and lessons in the course of the construction of the Belt and Road for future practices. The Belt and Road Construction and Development Report 2019 is compiled by the CASS Belt and Road Research Institute, the CITIC Foundation for Reform and Development Studies and the CASS Eurasian Institute of Higher Studies. The annual report consists of five chapters and 25 reports, including the general report, sub-reports, and chapters on international cooperation, regional cooperation issues, and special reports. The guests summarized the first five years since the implementation of the Belt and Road Initiative from various aspects, and proposed insightful ideas for its future development. Kong Dan, president of the CITIC foundation, addresses the seminar “Belt and Road: New Concepts and Practices” in Beijing. Kong Dan, president of the CITIC foundation, pointed out in his speech that the Belt and Road Initiative represents a new idea about the direction of human development. The construction of the Belt and Road calls on more people to accept new ideas, and promoting these new ideas requires effective methods and practical results. Meanwhile, we also need to use new ideas to measure the results and guide future practices. 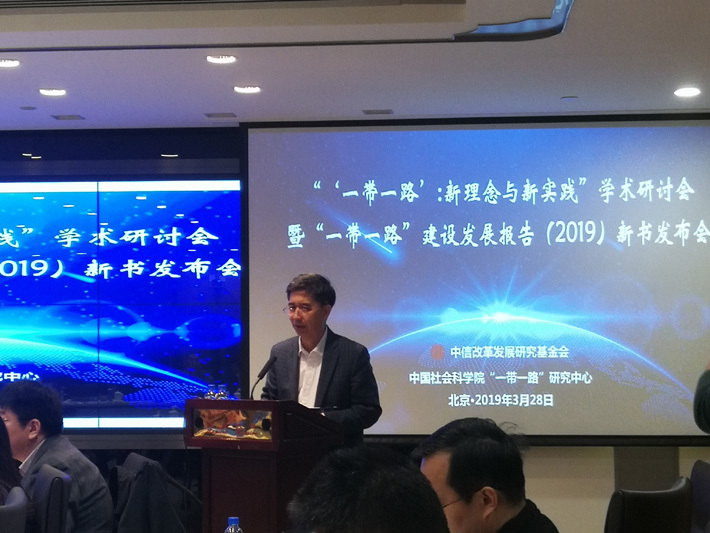 Li Yongquan, director of the CASS Belt and Road Research Institute, unveils the Belt and Road Construction and Development Report 2019 at the seminar “Belt and Road: New Concepts and Practices” in Beijing. In the general report, Li Yongquan, director of the CASS Belt and Road Research Institute, noted that the Belt and Road Initiative has established a new cooperative model, boosted various cooperative mechanisms, created many world records of cooperation, and promoted integrated regional economic development. Furthermore, against the backdrop of a changing international situation amid new difficulties, it provides a Chinese solution for global governance. The Belt and Road Initiative is gaining attention and support from more and more countries. Experts at the seminar analyzed the new international and domestic situations for the construction of the Belt and Road. They discussed new roadblocks and solutions in terms of policy coordination, infrastructure connectivity, unimpeded trade, financial integration, and closer people-to-people ties, and agreed that it has made great accomplishments. They called for publicizing these achievements and confirming the Silk Road Spirit with practices. Experts attending the seminar were confident about the success of the 2nd Belt and Road Forum for International Cooperation. They believe the forum will greatly enhance the international reputation of the Belt and Road Initiative and mark a significant starting point for the Initiative in the next historic era.